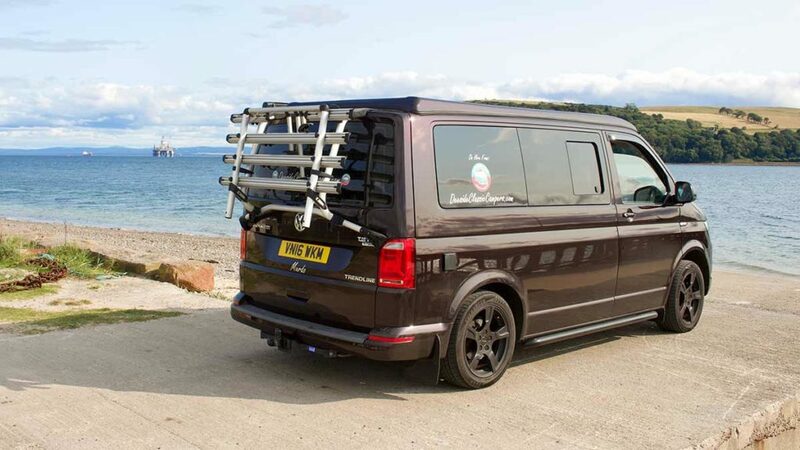 We are opening up MURDO T6 VW to our lovely dog owners! 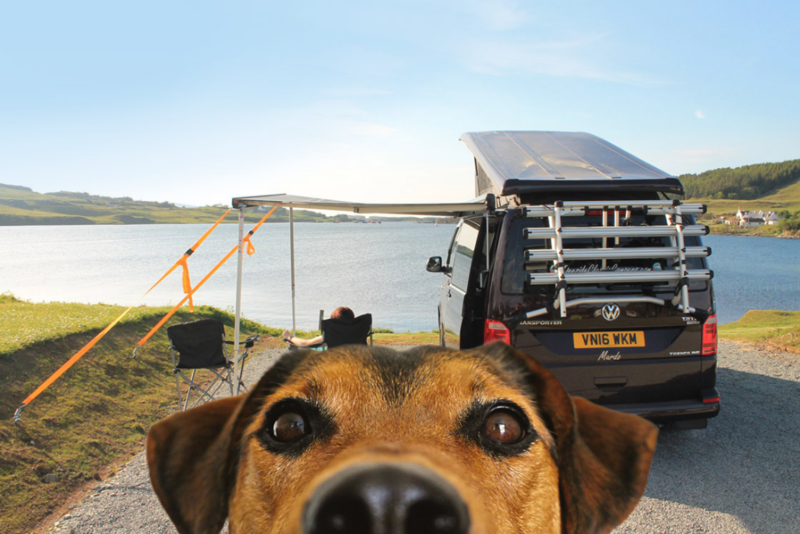 This is following the fantastic response we received from you on our Facebook page when we asked the question if you would like a “Dog friendly Camper”. 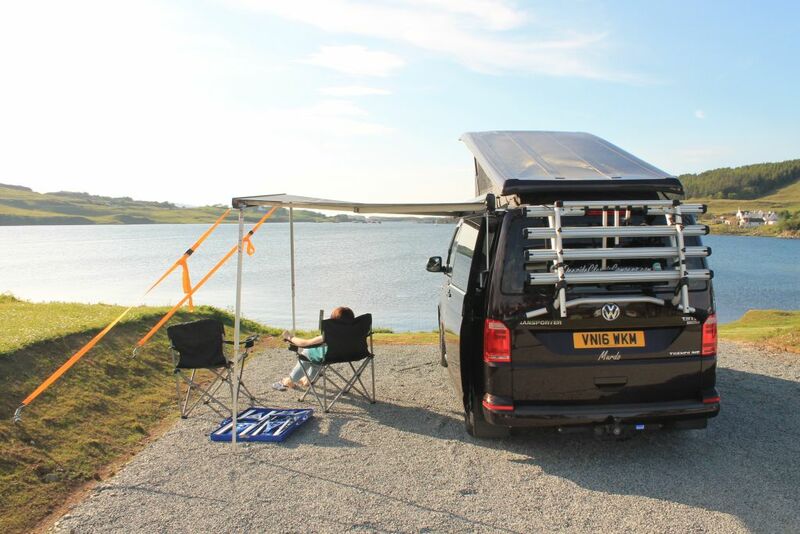 What better way to see Scotland and turn up the heating, be snuggled in a super warm cosy camper, with a hot chocolate and looking at the perfect view over a beach or loch than in Murdo VW! We are encouraging our customers to now bring their dogs on holiday with them. In this area, there are miles and miles of coastal, river and woodland walkies to enjoy plus dogs are welcome guests at most pubs, eateries and campsites. 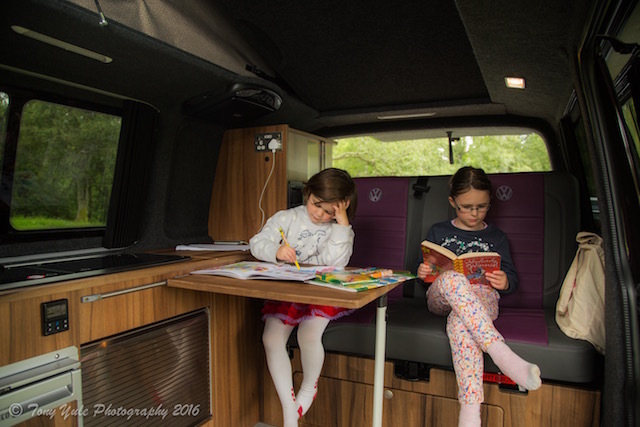 We welcome two well behaved dogs in the campervan. We charge an extra £30 per hire (not per pet – two dogs allowed per hire) if you do decide to bring your dog along. We just ask that you bring plenty of dog blankets with you to protect the campervan’s upholstery from sharp claws and muddy paws! We all love taking our dogs along the River Dee, or beach with the family. Just seeing them galloping along in the river along Royal Deeside or on the shoreline and digging in the sand is deightful. It’s clear that they love the water and beach as much as the kids do. We look forward to meeting you and your “best friends!”.